Armstrong Arrows Girls 19U Tier 2 Hockey is high level girls hockey with the intent of competing for the National Championship. Teams may or may not participate in PAHL. This team is a girl only team. Girls age 19 down to age 13. Girls born in the year 2000 up to 2004. Tryouts will be in April with team workouts starting in the summer at the coaching staff's discretion. Ice practice and games to start in August and run through late March / Early April. Practices will be held at The Belmont Complex in Kittanning PA. Other practice locations may be considered based on available ice and player travel time considerations. The Armstrong Arrows National Bound Program will participate in USA Hockey sanctioned games and tournaments, at the coaching staff's discretion. Arrows player uniforms consist of home / away jerseys, socks, and shell . Each player will be required and responsible for the purchase and care of their Arrows uniform. Costs associated with their uniform are not included in the season fee. Please see policies for more information. Uniform fitting will be at the Belmont on May 8 at 5pm to 7:30pm. 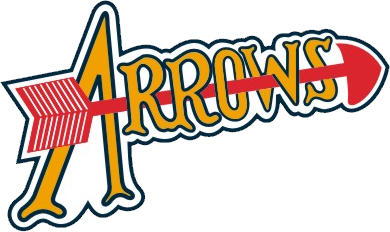 The Armstrong Arrows Girls 19U National Bound Program may choose to have one or more mandatory fundraisers during the season to ensure that adequate operating funds are available. Price to be determined. Please see Policies for kitchen duty information. Player placement will be announced on the AAHL website shortly after the last tryout date for each team. You will have 24 hours, after notification, to decline placement on a team. After the deadline, your commitment fee will be charged. The Commitment Fee is non-refundable once team placement is accepted. If you decline placement on a team in the stated time frame, your commitment fee will be reimbursed.